In everyday life many women face such a thing as a “cyst.” This word comes from the Greek «kystis», ie, bubble. And it is that word can be more fully characterize a pathological tumor volume filled with liquid or any other content separated from the surrounding tissue sheath (in other words, a capsule). They are located inside of an organ or tissue surface. 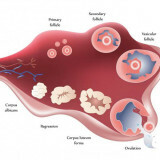 The most common cysts found in the ovaries, and the probability of occurrence of such tumors in a young woman is much higher than that of women aged. Many women are often not aware of the existence of such widespread diseases as ovarian cysts. The symptoms of this disease do not manifest themselves practically. That is why it is important to diagnose the presence of tumors at an early stage. A cyst is functional. Ie associated with certain phases of the development and maturation of eggs in the ovaries, as well as occurring in this period, changes in the ovary. This type of cyst can be divided into two groups: the cyst is follicular cysts and corpus luteum. The reason for this kind of entities, usually a hormonal failure. This is the most common form of the disease called “ovarian cyst” her invisible symptoms, there are cases where this kind of tumors were resolved after the next month. The cyst paraovialnaya. A thin-walled single chamber formation filled with liquid. 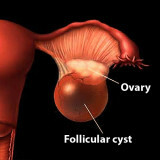 Such cysts are located in close proximity to the ovary, almost without altering the fabric of the reproductive organ. 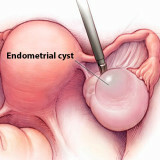 The cyst endometriosis. In fact, this local manifestation edometrioza. New formation of this type may eventually develop into cancer – a malignant tumor. mucinous cyst. Outwardly, it looks like paraovialnaya cyst, but it is filled with mucus and not liquid. This type is very dangerous, because in a relatively short period of time can develop into cancer. 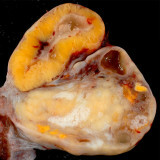 The most rare type of cyst – a dermoid cyst. They consist of various fabrics with embryonic origin. Speaking of varieties of cysts, I want to be singled out is such a thing as polycystic or multiple cysts. This disorder most often is hereditary. Concomitant hormonal disruptions of varying severity. 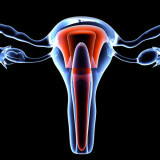 In most cases, women are not aware of the presence of a benign tumor of the ovary. This tumor can be diagnosed on a normal routine inspection, however, there are cases when the diagnose and palpation cyst impossible. In such cases, the aid gynecologist comes ultrasound machine. 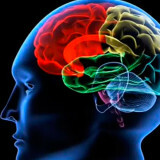 The causes of this disease are divided as follows: hormonal and inflammatory. In no event it is impossible to run such diseases as ovarian cysts. Treatment is carried out in two ways: conservative (using drugs) and operational (surgery). The choice is yours, but remember that some types of cysts are not amenable to conservative treatment and require surgery. There are times when twisted leg, which carries an ovarian cyst, symptoms are obvious in this case – is a sharp pain in the lower abdomen. If there is a complication, you should immediately seek medical help. Dangerous if the follicular ovarian cyst? Next story Testicular cyst is dangerous?